Today was election day. It was the first time in fifteen years that I didn’t have to send in an absentee ballot. I didn’t wear my sticker, I chose instead to keep it on it’s plastic backing tucked safely away in my wallet. 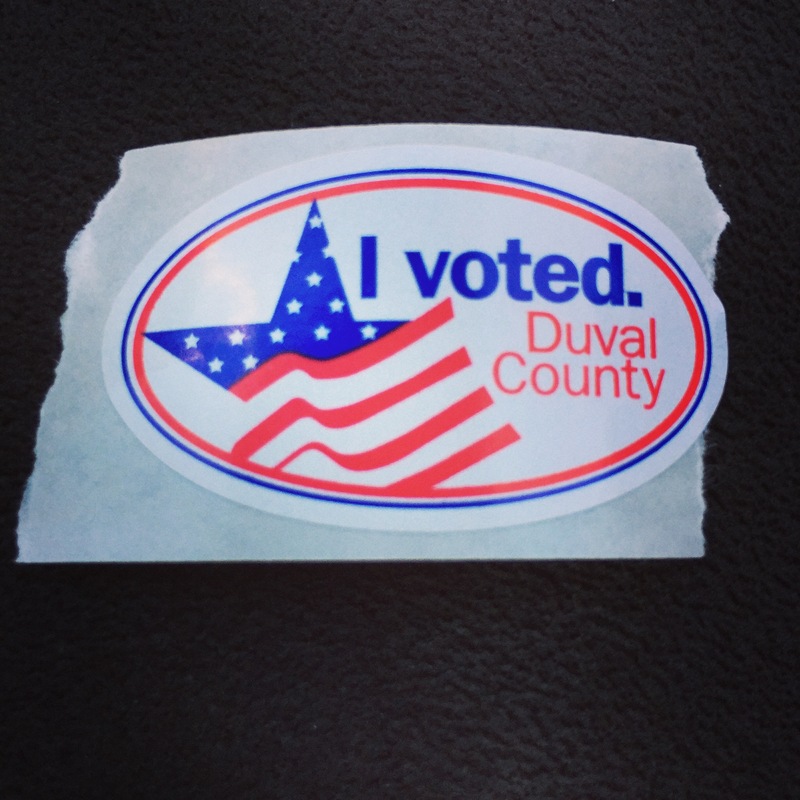 It’s a funny thing, it’s just a sticker, but it means so much more, it connects you to others across the country who also exercised their right to vote. If you chose to vote today, I hope you wore your sticker proudly. If you decided that you didn’t want to vote today, I think that’s okay too. It’s your right.